The students at Aalborg University continuously come up with ground breaking and innovative ideas, which could change the lives for many people around the world. But not all of them are confident to get it out there. SEA aims to help students at Aalborg University to become more entrepreneurial in mind and heart by offering events and programs which enhances them to be able to conquer in the modern world, where having an overall understanding of business, development and managing is valued across the entire industry. The Inkubator is a Startup community for students at AAU. At Fibigerstræde 11, you will find a startup community and workspaces, where entrepreneurs have a place to work on their startups and where guidance is always just around the corner. It is not just a physical meeting spot and a place to go for students with an entrepreneurial mindset, but also a focal point for entrepreneurship activities at AAU. The AAU Start-Up Program aims to help students at AAU in their quest to turn their idea into a viable business. The program is divided into three parts depending on the stage of the idea. The student will be guided in the process of validating their concept, assembling a team, developing a product, and launching on the market. The program is for students at all semesters, educations and mindset. 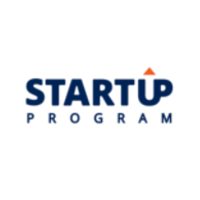 Read more about the AAU Start-Up Program here! 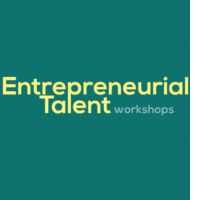 The entrepreneurial Talent workshops consist of two workshops for everyone, who wish to know more about how entrepreneurship can enhance their life and career. The workshops are aimed at all students, Ph.d., and alumni. The workshops are free for everyone and runs twice a year. Read more about Entrepreneurial Talent here! 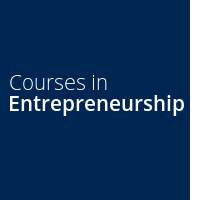 AAU offers a wide range of entrepreneurial courses and programmes. We have listed a few of the widely available courses that we have close contact with. These courses will improve your entrepreneurial skills by working with exciting projects of your own choice. Erasmus for Young Entrepreneurs is your chance to learn first-hand all the skills needed to become a successful entrepreneur. Through the exchange program, you will have the opportunity to work alongside an experienced entrepreneur in another European Union country, thereby learning through experiences, thus strengthening your entrepreneurial skills. Learn more about Erasmus for Young Entrepreneurs here! Projekt Innomatch handler om at få AAU studerende til at skabe vækst og innovation i mikro- og nystartede virksomheder. Projektet centrerer sig om det tværfaglige talentprogram Scandinavian Talent, hvor 30 særligt udvalgte kandidatstuderende deltager pr. semester.I projekt Innomatch arbejder vi generelt for at skabe flere samarbejdsrelationer mellem dig som studerende og mikro- og nystartede virksomheder. Læs mere om Innomatch her! Supporting Entrepreneurship at Aalborg University (SEA) has been the home base of Entrepreneurship at AAU since 2003. Now we are finally coming to Copenhagen.